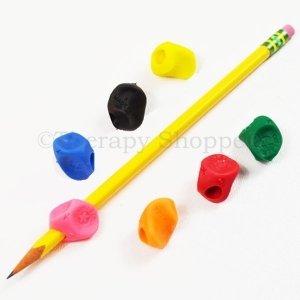 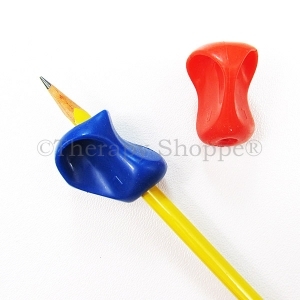 Awesome pencil grips with comfy finger-fitting contours for index and middle fingers, and a curved cut-out for thumbs. 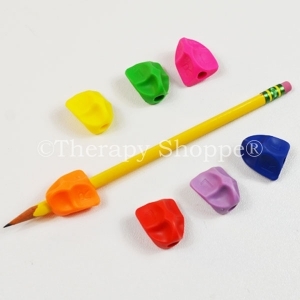 This innovative classroom writing tool helps eliminate tight-grasping and finger fatigue, while promoting a comfortable and functional finger grasp. 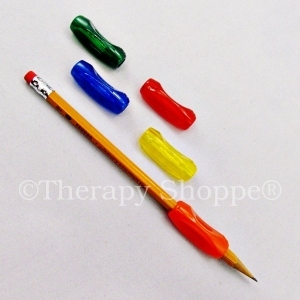 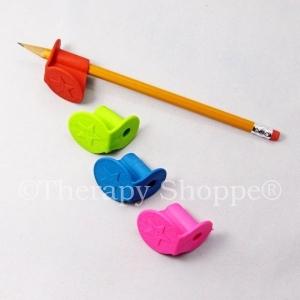 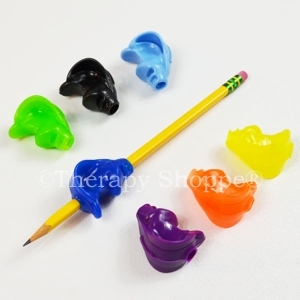 Another innovative Therapy Shoppe® pencil grip!